The Piedmont Aquatics Program is designed to teach participants how to swim skillfully and safely. 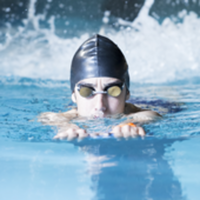 Taught by American Red Cross certified instructors, these progressive lessons combine skill technique, water safety and endurance. Designed to meet the specific need and learning styles of the swimmer with one on one instruction. Students progress at their own rate while completing the skills, water safety awareness and endurance emphasized in the Piedmont Aquatics Program.